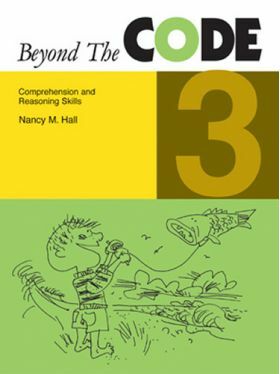 Beyond the Code Book 3 uses engagingly illustrated stories such as: Kids Need Pets, What’s the Fuss?, Day Care for Dogs, A Fish That Can Fly!, and Kate and the Ten-Speed Bike. Introductory exercises teach word families and vocabulary, while follow-up questions develop students’ understanding of the stories and encourage their reasoning abilities. Drawings accompany many of the new words to help students understand the vocabulary. After each story, students can complete illustrations by adding their own drawings.